The Milford Township Board of Supervisors exercises primary supervision and control over activities within the municipality and the four phases of emergency management; mitigation, preparedness, response, and recovery. A municipal Emergency Management Coordinator (EMC) is appointed by the Board of Supervisors and shall act on behalf of the elected officials. An Emergency Operations Center (EOC) has been designated by the municipality, and may be activated by the EMC or the elected officials during an emergency. The township maintains an Emergency Operations Plan which is followed during an emergency. 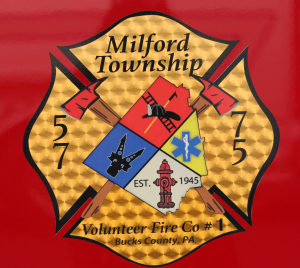 Milford Township includes 3 Fire and Rescue Departments that service the Township’s needs. Firefighters are people just like you. We rely on them in times of emergency. They give something that money can’t buy. Now these volunteers need you to help keep these services alive. 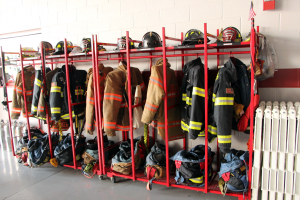 While you may not want to fight fires or respond to accidents, you may find it fun to help at the carnival, serve at a dinner, teach fire prevention, or even help Santa deliver presents. While it may sound like you are being asked to give, you will find much more that you receive; a sense of community and human compassion. And that’s something money can’t buy! Want to join? Call Milford Township at (215) 536-2090. We will connect you to your local company.